Implantmed gives you the tools for oral surgical procedures in the fields of implantology and maxillofacial surgery with maximum precision. 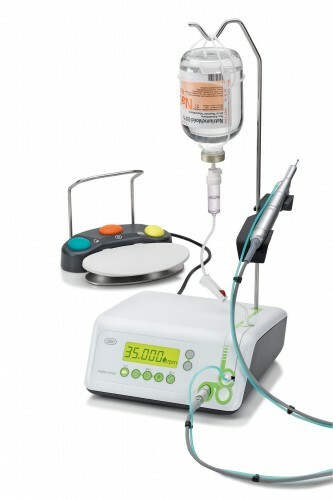 Implantmed excels by virtue of its ease of operation, powerful motor and automatic thread cutter function. The logically designed operating concept supports implantologists and ensures all programs can be set up easily, by pressing the buttons on the unit or by operating the foot control. Click the button below to add the W&H Implantmed Surgical Dental Micromotor to your wish list.